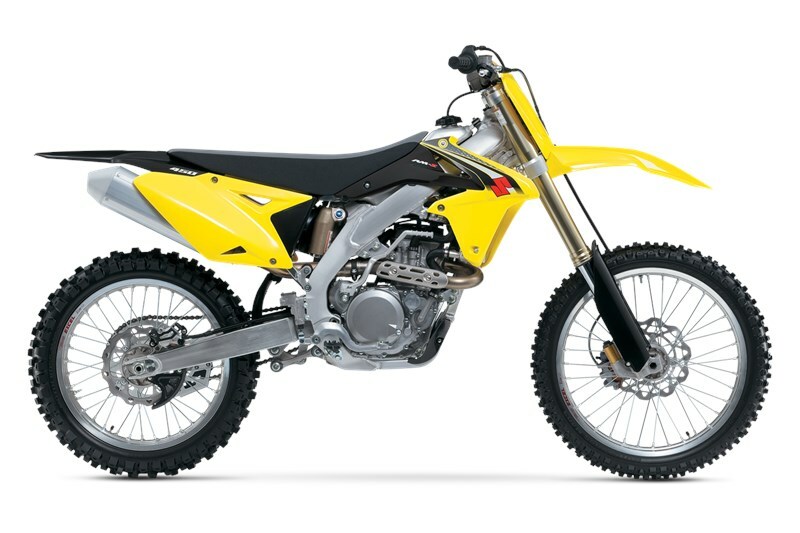 The RM-Z450 continues to evolve for 2016, delivering a higher level of performance while maintaining the great balance of the current model. 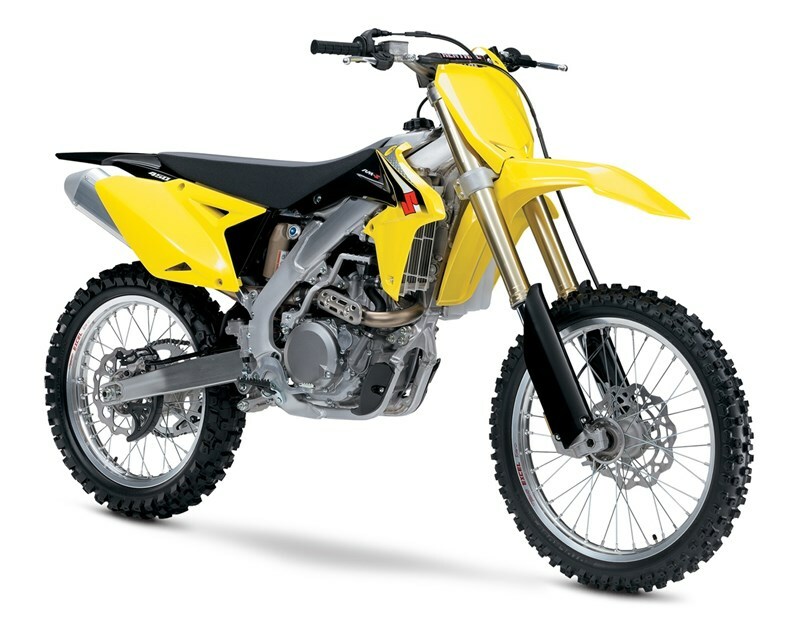 The 449cc 4-stroke liquid-cooled DOHC 4-valve fuel-injected engine along with new performance upgrades straight from the factory is the reason why champions choose Suzuki! Refined for further rider control, the Suzuki Holeshot Assist Control (S-HAC) is a selectable launch system derived from the factory race bike to help riders’ takeoff from the starting gate for an early lead. There are three modes riders can choose for the best option per their skill level and starting conditions. B Mode: When there is better traction and a more aggressive launch is needed, hold down the S-HAC switch for more than 1.8 seconds. Base Mode:	Standard power launch, no action required on the S-HAC switch. The SFF-Air suspension evolved from the SFF system but without a conventional coil spring resulting in reduced weight, increased inner tube diameter and damper rod/piston size. SFF-Air utilizes three tunable chambers so riders can easily adjust the spring rate with an air pump instead of changing out steel springs. Engine starting is easy due to a long kick starter lever, refined internal gears, and decompression system that works precisely and efficiently. Cooling performance is efficient with hose routing that is balanced between the left and right radiators, and a high capacity coolant pump. Refined 5-speed transmission enables precise gear shift operation. The transmission feel has been improved with a revised shift cam for accurate gear selection. Specialized machining processes increase the precision of the matching gears. 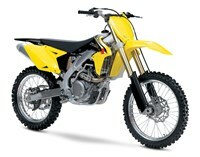 The frame has increased rigidity and reduced weight from previous generation RM-Z450. The SHOWA rear shock, with rising-rate linkage system, provides 12.2 inches of wheel travel and complements the SFF-Air fork.